Triumphant victor of two devastating accidents who inspires others to take responsibility for the unexpected challenges that occur at work and throughout life. W Mitchell is the triumphant victor of two devastating accidents. Today, as an award winning keynote speaker, he inspires others to take responsibility for the unexpected challenges that occur at work and throughout life. Learn how to embrace the power behind CHOICES, RESPONSIBILITY, PERSPECTIVE and FOCUS from a man who went on to achieve national and international successes. 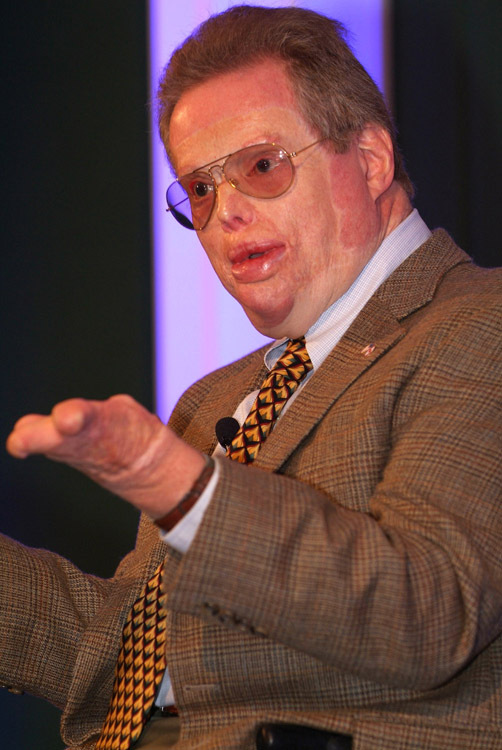 As a young man, Mitchell's was in a blazing motorcycle accident that burned 65% of his body. 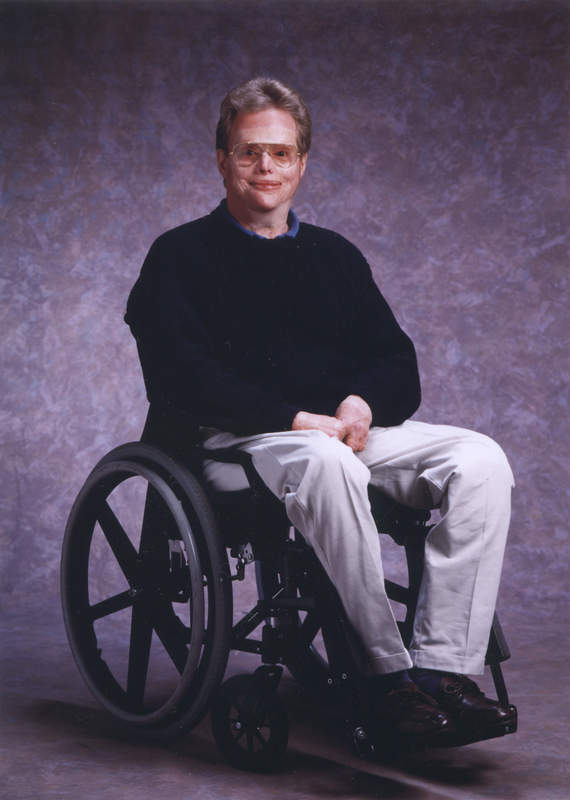 Then, four years later, he was sentenced to life in a wheelchair following an airplane crash. Throughout the recovery process, he firmly held on to his feisty nature and quick wit. He was determined to maintain control, cope with the countless changes and prosper. Through hard-earned wisdom and determination, he allowed "change" to become a positive force towards facing the impossible. "It's not what happens to you. It's what you do about it." His seemingly hopeless story evolved into an amazing life of achievement that has inspired audiences throughout the world. Following his accidents, Mitchell became an internationally acclaimed mayor "who saved a mountain", a successful businessman who put 1000's of people to work, a congressional nominee from Colorado, and a respected environmentalist and conservationist who repeatedly testified before Congress. He even continued his love of piloting airplanes and white water rafting. His accomplishments have received recognition on Good Morning America, The Today Show, NBC Nightly News and countless magazines. 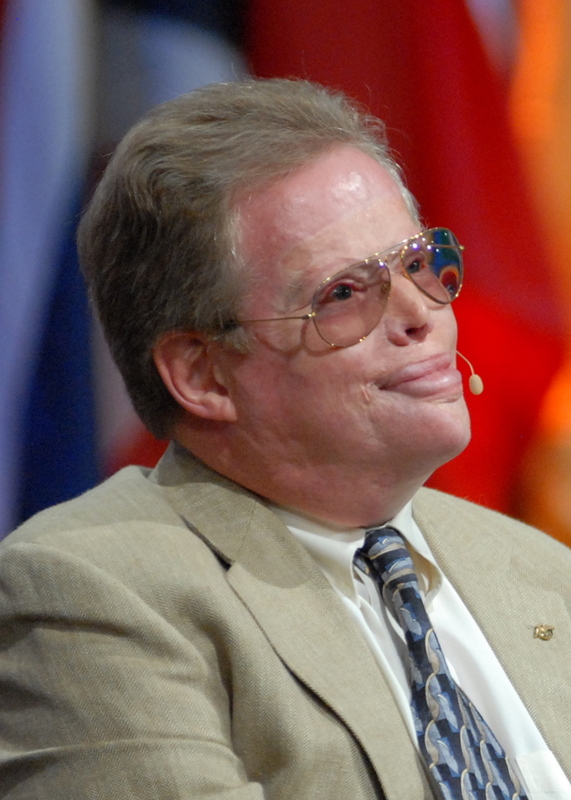 He is a successful author and was the subject of a recent television special, Super Humans. His life clearly illustrates his philosophy that "most limitations are self-imposed". Today, as an international keynote speaker, Mitchell captivates audiences with his story and then calmly empowers them to accept challenges, embrace change and take action - not only at work but in everyday life. His tenacity and credibility are indisputable as he so obviously lives his message. No one goes away unaffected as Mitchell proves that unexpected changes can become exciting new starting points. 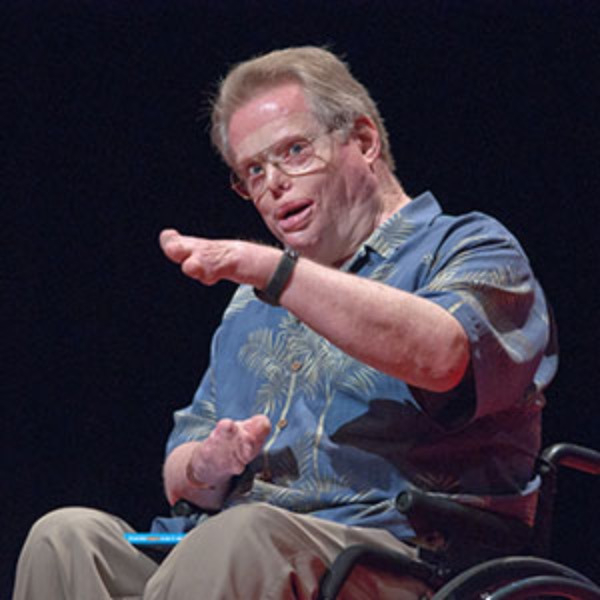 Mitchell tells audiences, "Before I was paralyzed there were 10,000 things I could do. Now there are 9,000. I can either dwell on the 1,000 I've lost or focus on the 9,000 I have left." Former President Bill Clinton recently told a group of people in Toronto that he thinks about W Mitchell's message every week. Mitchell shares his unforgettable story and proven strategies with corporations and associations throughout the world, including multiple visits to the White House, Canada, South Africa, China, Singapore, New Zealand, Dubai, Australia and Europe. 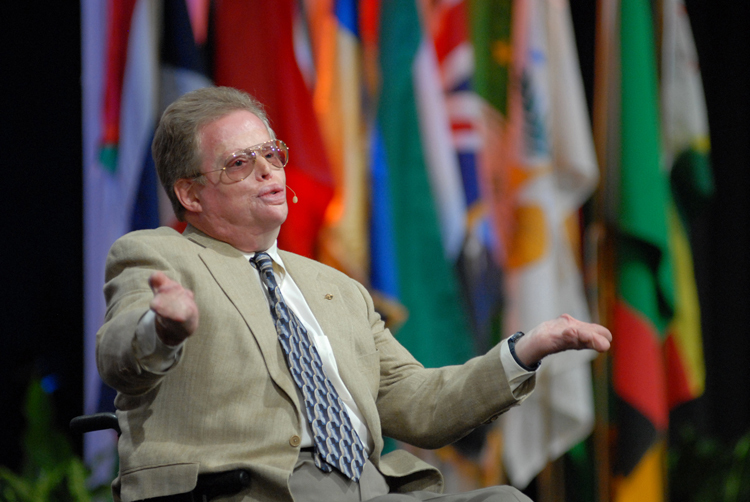 He served as president of the Global Speakers Federation and traveled extensively throughout the world. He truly is unstoppable! With warmth and wisdom, W Mitchell recaps the precise moments that instantly erased and rewrote the course of his life. To lose your face and fingers in a fire, and then lose the use of your legs forever - well, what would you do? 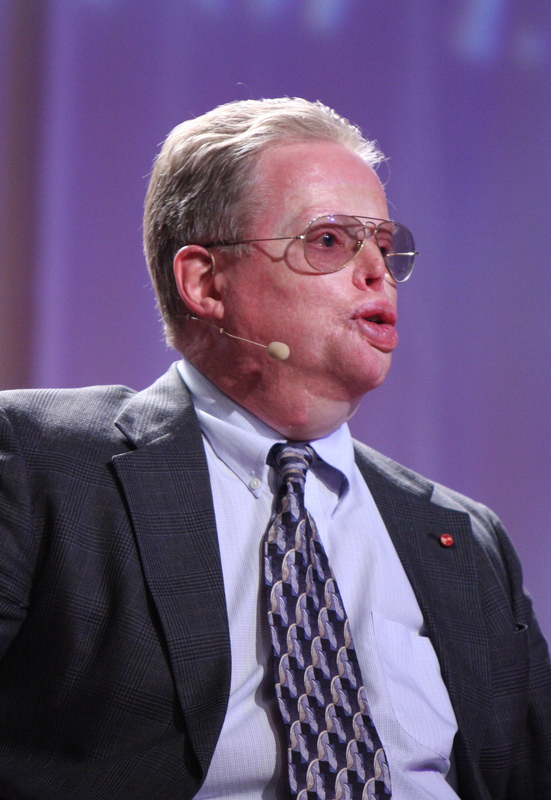 Mitchell learned to work through the painful challenges and the devastating losses. When it was time to rebuild, he did, not once but twice. This seemingly hopeless story evolved into an amazing life of achievement that has inspired audiences throughout the world. Mitchell reveals the core beliefs and proven strategies that lead to his personal and professional successes. He proves to audiences that setbacks can be transformed into new starting points and that we all must take responsibility for the changes in our life. Not only will he demonstrate what it takes, but he will provide the necessary tools that can be used to improve the quality of your unique situation. Put yourself and others back in charge. Be empowered to take action based on Mitchell's compelling examples. Understand that most limitations are self imposed and it's time to move past them. 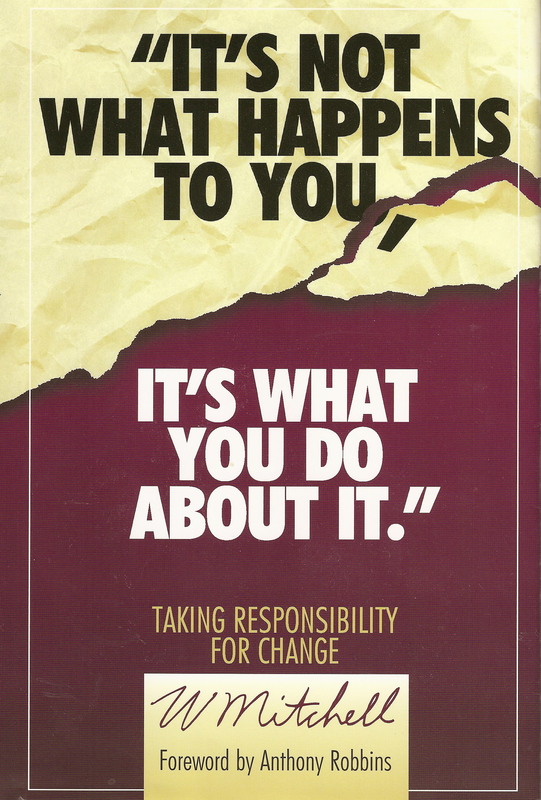 Learn to take responsibility for change and master adversity. Learn to think and act creatively. Gain a new perspective on seemingly impossible situations. Feel the joy of living at your best regardless of the challenges. Experience a renewal of both mind and spirit and be inspired to achieve greatness. W Mitchell's message will long be remembered as captivating, empowering, and the real thing. With a sense of peace and acceptance he lives his message everyday - this is top quality motivation that truly makes a difference. AUTHOR OF: "It's Not What Happens to You, It's What You Do About It"
This is the story of Mitchell's life - a dramatic story of courage, determination and success that goes far beyond his keynote presentation. Many personal stories and deep insights make this a compelling book about putting yourself back in charge. Not only does Mitchell's story demonstrate how to cope with challenges, but also how to prosper from change, take responsibility, discover your strengths and abilities, and so much more. By the end of the book, you will learn to find the opportunity in adversity and you will forever be inspired to more forward, regardless of the obstacles. You will even learn about the "W"!